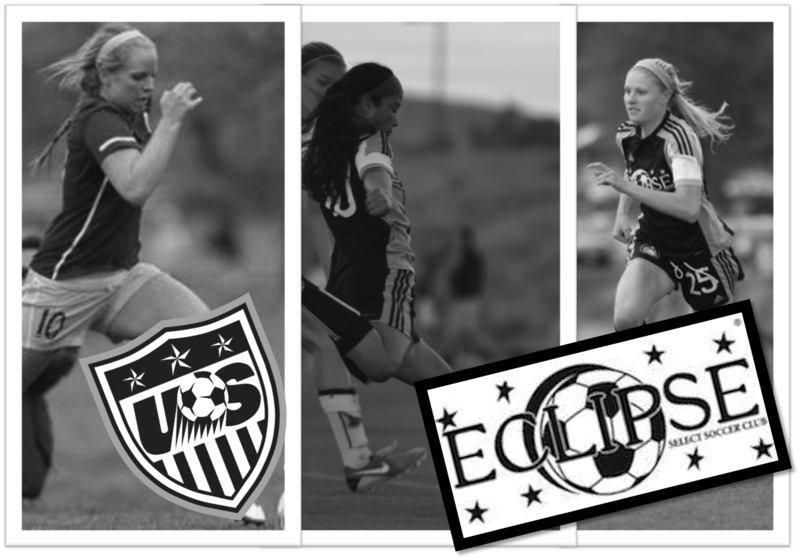 CHICAGO (Oct. 1, 2014) – Eclipse Select Soccer Club forwards Alissa Gorzak (Naperville, Ill.), Reilly Martin (Carmel, Ind.) and Zoe Redei (Highland Park, Ill.) have been called into a U.S. U-20 Women’s National Team camp taking place in mid-October in Chula Vista, Calif.
U-20 head coach Michelle French will bring in a group of 32 players from Oct. 12-19 at the U.S. Olympic Training Center. This group of players, mostly consisting of players born in 1996 or 1997, opens the new cycle that will focus on qualifying for the 2016 FIFA U-20 Women’s World Cup.